San Pablo is a city in Contra Costa County and is conveniently located near interstate 80, schools, parks, shopping and restaurants. The city of Richmond surrounds nearly the whole city. San Pablo lies on a sedimentary plain between the northern end of the Berkeley Hills and San Pablo Bay, although the city limits do not extend to the bayshore. The city is traversed by two principal creeks, Wildcat Creek and San Pablo Creek, both of which originate in the ranges to its southeast. The minor Rheem Creek also runs through the city. It is also traversed along its northeast limits by the Hayward Fault, a major branch of the San Andreas Fault which lies to the west. If you are interested in previewing any of our properties please contact us at East Bay Short Sale Group to arrange for an appointment. If you already have an agent you are working with, ask them to arrange for a showing. Otherwise if you are a seller in Oakland or other areas of Alameda & Contra Costa County and would like to learn more about how the short sale process works, please contact us for a free consultation and let us help you make your short sale a success! 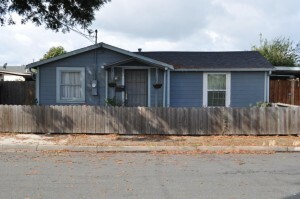 Thanks for taking the time to read about this San Pablo short sale! Previous post: Livermore Short Sale Pending! Next post: Dublin Short Sale is now Pending!